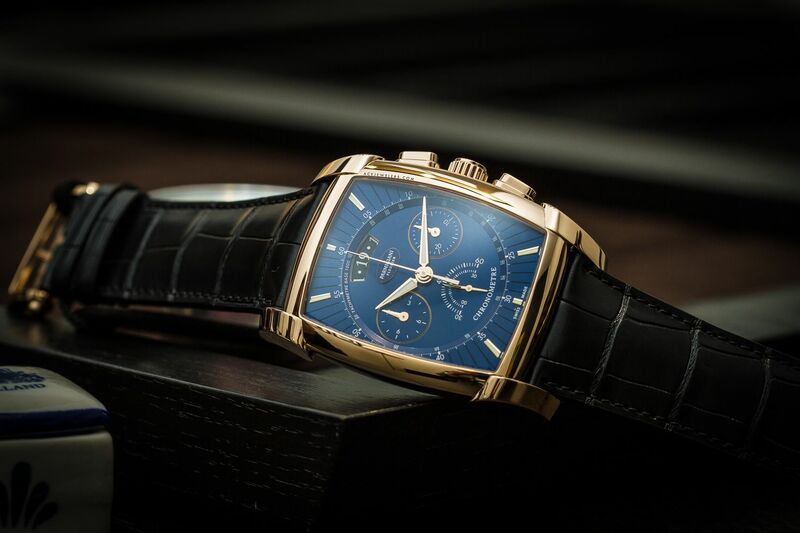 Parmigiani Fleurier launched the new Kalpagraphe Chronometre at SIHH 2018. This model is the first tonneau shaped watch with chronograph complication to be entirely manufactured by Parmiginai Fleurier. The self-winding movement, caliber PF362, is COSC certified. The beautiful movement can be admired through the sapphire crystal case back. The 18K rose gold case is measured at 48.2 x 40.9mm. The case thickness is 14mm. 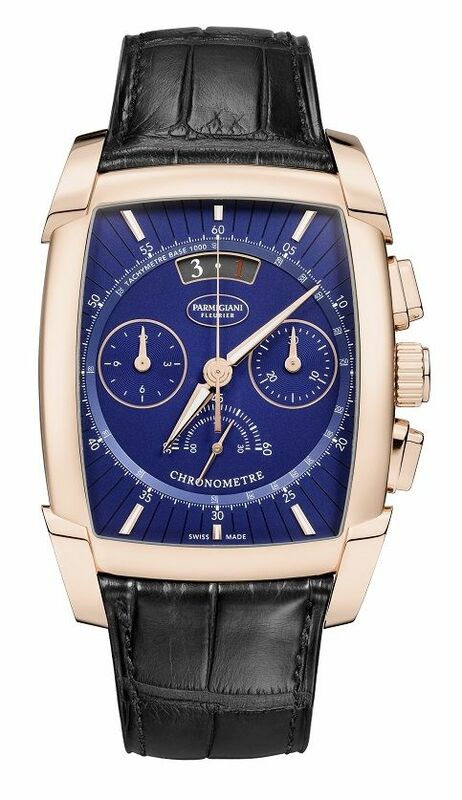 The blue dial with applied index features hours, minutes, small seconds, a date window and a chronograph. It's presented on a black alligator strap with an 18K rose gold folding clasp.